SANTA ROSA, Calif. (CN) – The fires in California’s Wine Country have become the deadliest in state history, as the death toll rose to 33 on Friday with hundreds still missing. Sonoma County Sheriff Ron Giordano told a gaggle of reporters that about 470 missing persons reports are outstanding, but cautioned that some could be duplicates. Nevertheless, Giordano said his office is moving into recovery efforts, making targeted searches of areas and homes where people are being reported as missing. Sonoma County has borne the brunt of the fire damage and the fatalities, where so far 18 people are known dead after a wildfire ripped through populated areas of Santa Rosa, the county’s largest city. Most of the known dead were over 70 years old. Meanwhile, the Sonoma County Fairgrounds has been transformed into an evacuation center, with scores of volunteers and donated food, clothes and equipment pouring in. “I have been in the same clothes since Sunday,” said Jim Scholl, who fled his house in the middle of the night. Many of the residents staked out at the evacuation center remain unsure about the fate of their homes and possessions. Reports have emerged that some in the Latino community have expressed reservations about going to evacuation centers due to rumors of the presence of Immigration and Customs Enforcement at the centers. Napa County Supervisor Belia Ramos said those fears are misplaced. “We are a welcoming community, regardless of race, immigration status and you are welcome in our shelters,” Ramos said. Despite the sobering statistics regarding fatalities and missing persons, firefighters are making gains on the containment front. 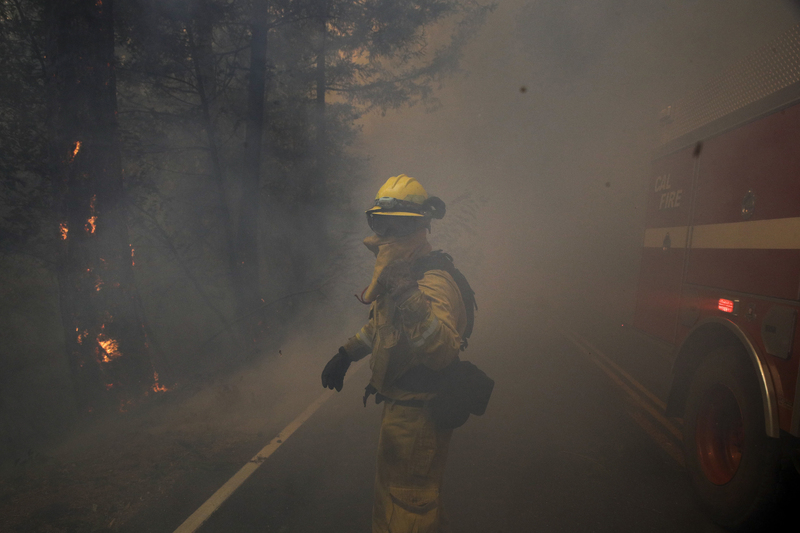 High winds in the forecast for Thursday never materialized and with an enormous influx of firefighters from all over the state and the rest of the American West, containment figures for the three largest fires burning in Sonoma, Napa and Solano Counties have improved. 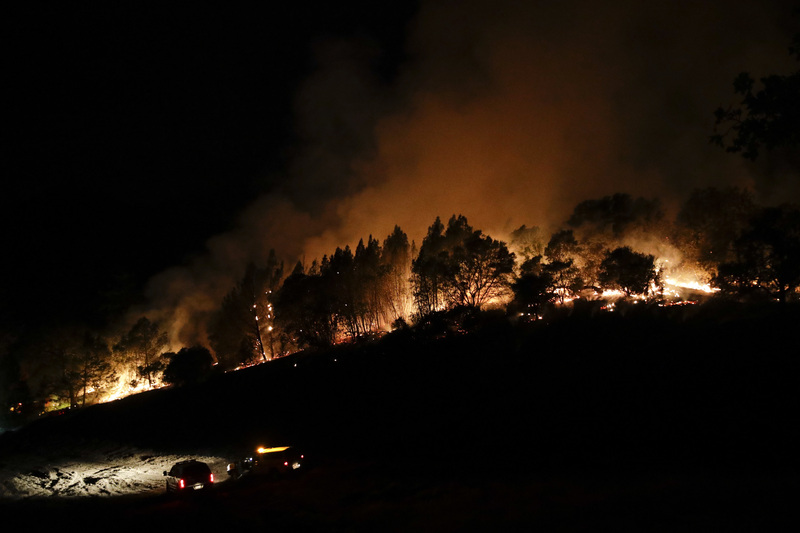 The Tubbs Fire, which ripped through Santa Rosa and other populated areas of Sonoma County and forced the evacuation of the entire town of Calistoga on Wednesday afternoon, is 25 percent contained. Some residents of Calistoga have been allowed to return, an indication that firefighting efforts on the eastern flank of the Tubbs Fire have been successful. The Atlas Fire, another large and deadly fire in the area, is at 27 percent containment. And the Nuns Fire, which has merged with other fires in Sonoma County to form the Central LNU Complex, stands at 5 percent containment. A possibility of strong winds Friday night into Sunday have some fire officials preaching caution mixed with a new sense of optimism that the worst is over. Gusts are expected to reach 45 miles per hour, a far cry from the 75-mile-per-hour gusts felt when the fires started Sunday. There are currently 17 wildfires burning, down from 23 after some merged. 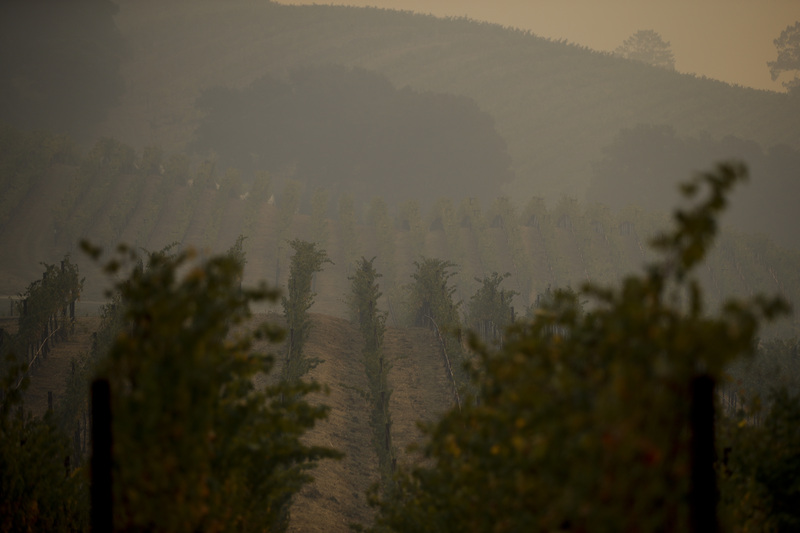 The Wine Country fires have destroyed over 3,500 homes and burned about 221,000 acres throughout the region.